A tender for the rehabilitation of Guatemala's 41km Escuintla-Puerto Quetzal highway, a project that would be developed under a public-private partnership (PPP), could be launched next month. This would be the first initiative of its kind to be launched in Guatemala since the country's PPP law was passed in 2010 and the creation of the PPP promotion agency Anadie in 2012, agency director José Roberto Sagastume told BNamericas. "Our goal is to launch this tender in November. We'll have a council meeting on Thursday and will be requesting authorization to publish the tender documents," Sagastume said. Based on the agency's tentative timetable, once the launch of the tender is approved, the three following months would be used to prepare the bids, with the deadline to submit offers scheduled for February next year. The bids would then be reviewed so the project could subsequently be submitted to congress for approval. Financial closing would take place once the initiative receives congressional approval, enabling construction works to begin by the end of 2018 or in early 2019, Sagastume added. The contract for this brownfield project entails upgrading the CA-09 highway from kilometer 60+900 to kilometer 101.1m, on a section between the city of Escuintla and Quetzal port in the country's south. The concession contract would allow the road to be turned into a toll highway, so that the operation of the highway can be funded with the charges. "We are aiming for this project to be at the forefront of our project portfolio," the Anadie official added. 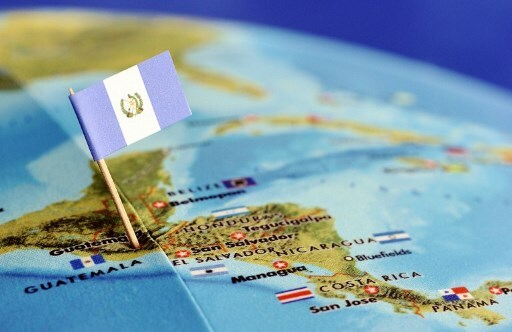 Five groups have already pre-qualified for the right to bid in the tender, including Mexican-Guatemalan group Consorcio Autopistas de Guatemala, formed by companies Mahrnos and Precom; Dutch firm Mota-Engil Latin America B.V.; Peru's JJC Contratistas Generales; Italian firm ANAS International Enterprise; and the consortium formed by Mexican companies Coconal and Operadora de Autopistas.